Mad Mike, Sorg, and Larry are talking WWE Raw and WWE NXT Halftime Heat. But Mike starts us off with a tirade about TNA Impact RAW with Jeff Jarrett and Road Dogg, who shouldn’t like each other, Ronda Rousey’s acting chops, the Becky Lynch, the over 40 rule and more! Week 5 set up all sorts of interesting possibilities in Mayhem Mania. First, he saw our first match survive three straight weeks without being altered in any way and GRADUATE to the SUPERCARD. 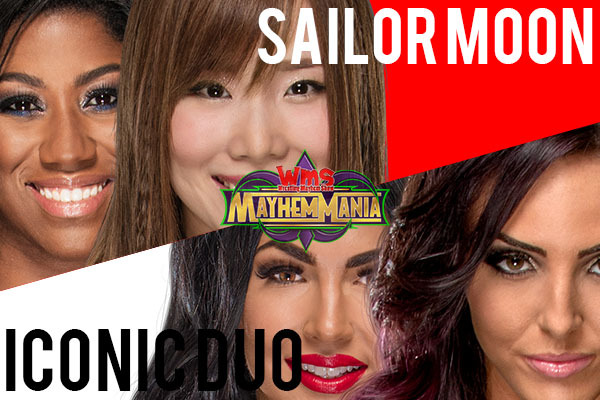 MAYHEM MANIA 2018 SUPER CARD! There’s no going back for that match. It’s locked in, and its creator gets a big pile of rewards. 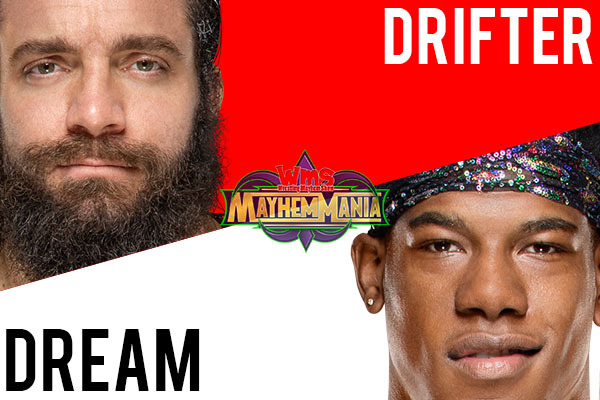 First, Mad Mike had to CREATE a new match to fill the open slot in our “undercard”. Mad Mike also gets an ELIMINATOR, which he can use at any time to permanently remove any person from this year’s Mayhem Mania talent pool. One catch: You can’t use the ELIMINATOR on someone who’s currently booked in a match. Mad Mike decided to hold onto his ELIMINATOR and use it in a later round. Mad Mike also got to hand out a dose of punishment to one of this week’s players. He decided to give it to our special guest on WMS 610, Lucha Underground Co-Executive Producer Chris DeJoseph. More on that in a moment. Here’s how things shook out on Episode 610 of the Wrestling Mayhem Show. With the Week 6 moves in the books, let’s take a look at our newly created matches. And here are our five newly created matches. Because his newly created match did not survive Week 6, Mad Mike will be back next week under the “Alex Kahrs Rule”. This weekend, we’re playing the FastLane Challenge! 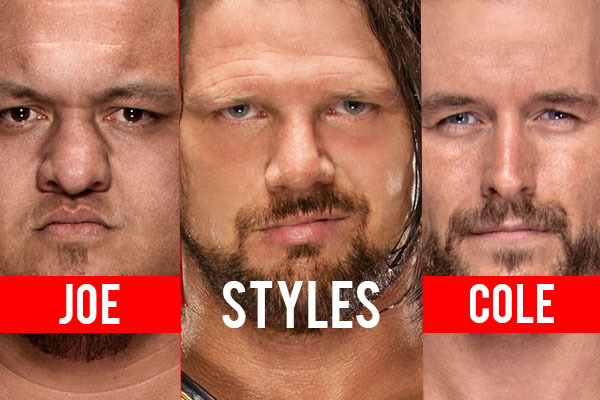 Send an email to [email protected] Tell us WHO AJ Styles will defeat to retain the WWE Championship (or, tell us who will take the title from him). Also, include the total time of the match for the tiebreaker. 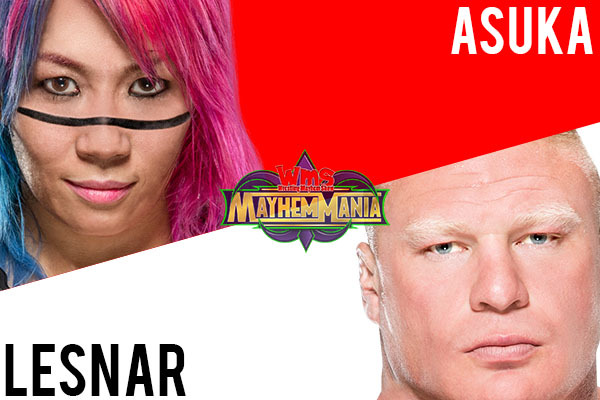 The winner gets their move used in the next round of Mayhem Mania AND that player will get an ELIMINATOR. 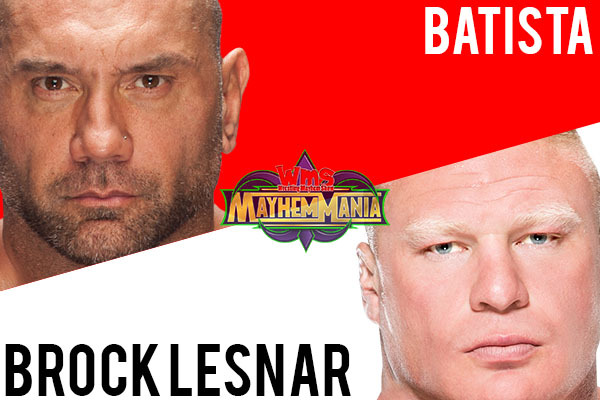 Thanks for being part of Mayhem Mania, and join us for next week’s episode entitled “Beastman For Rookie Of The Year” or “I Told You Double J Deserved To Be On This Card!”. What an eventful Week 5 in Mayhem Mania 2018. First, Dave Podnar was the winner of the first ELIMINATION CHAMBER CHALLENGE! He correctly predicted Roman Reigns would win the men’s Chamber match and earned himself the right to make the first move in Week 5. We’ll be doing a FASTLANE CHALLENGE as well. Check out TALKING Mayhem Mania for more on that. 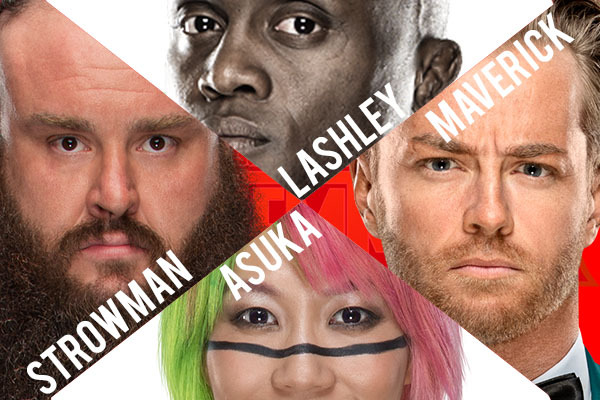 In Week 5 of Mayhem Mania 2018, each of our five players were invited to make a single change to the card. They have FOUR options. With all that said, here’s how it will went down on Episode 609 of the Wrestling Mayhem Show. KILL Chad Gable & Shelton Benjamin vs. The Bar vs. The Revival vs. Bobby Fish & Kyle O’Reilly and CREATE Honky Tonk Man & Rockabilly vs. Jeff Jarrett vs. The Roadie. 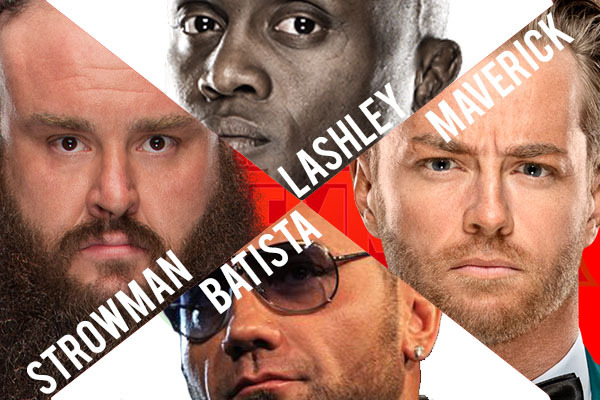 With the Week 5 moves now in the books, here are the four newly created matches on our card. And here are the matches that survived Week 5 without being altered in any way. 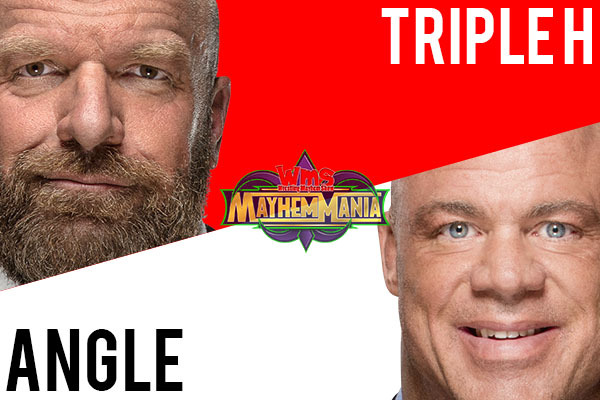 The fourth surviving match from Week 5 is also the first this year to survive three straight weeks without being altered in any way. 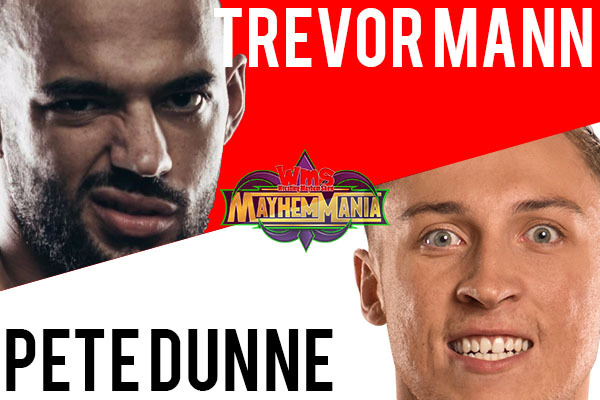 That means Trevor “Ricochet” Mann vs. Pete Dunne GRADUATES to the SUPER CARD of Mayhem Mania 2018. As creator of the graduating match, Mad Mike is entitled to several rewards. First, and most necessary, he will create a new match to fill the open slot in our “undercard” before the Week 6 moves commence. He’ll get to hand out a dose of punishment to another player. 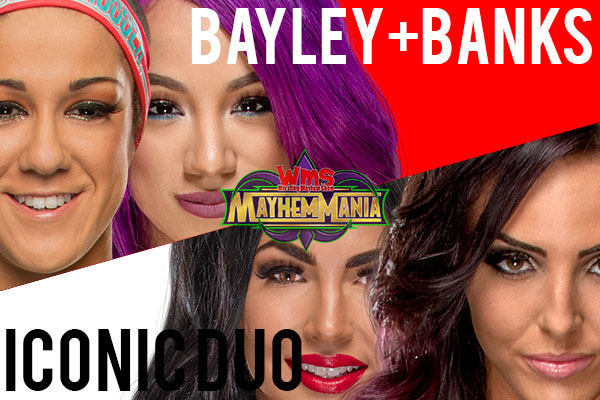 Finally, he’ll get an ELIMINATOR, which he can use at any time to ELIMINATE any human being not currently on our card from being eligible for use in this year’s Mayhem Mania. In addition, Mad Mike is the latest application of the “Alex Kahrs Rule” due to his match not surviving to the end of Week 5’s round. Thus, he will get the last move in Week 6. That’s right. He’s not only batting lead-off, he’s batting cleanup too. God help us all. For those of you that just can’t get enough Mad Mike, here he is taking part in the 10-minute giggle fest that was this past week’s episode of the HOTTEST show on the internet: TALKING Mayhem Mania! We are having a Mad Mike identity crisis on this week’s show. Jeff Jarrett is the Milli Vanilli of wrestling. Elimination Chamber happened. We’re sharing thoughts. Mandy Rose had some firsts…maybe not what she’d like to be known for, though. Sad John Cena is a thing, guys. 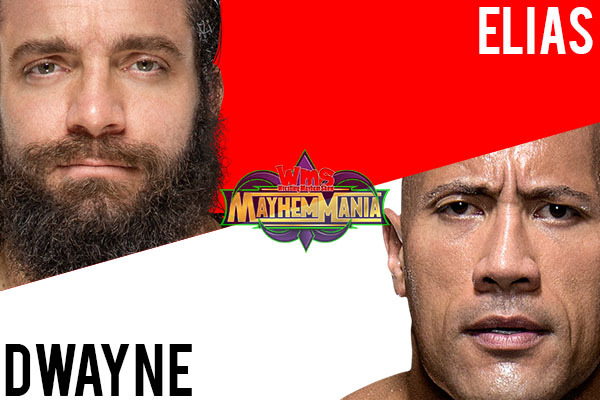 Is WWE going all MayhemMania on this year’s WrestleMania? Beast Man is sharing his thoughts on Braun Strowman and WrestleMania. Mixed Match Challenge thoughts are varying on this week’s podcast. If you haven’t given 205 Live a chance recently, you may want to give it another shot. It’s been good lately! Ronda Rousey is officially a WWE superstar! And, man – that start to her new career. After a small bit of technical difficulty (which we turned into some great GOLD content), we put together another great show with “The Rev” Ronnell Hunt, Rizz, Aaron, Bobby and Sorg for Wrestling Mayhem Show 553. Rizz is sharing his Christmas episode story. Bobby is excited about the John Cena and Baron Corbin match from Smackdown tonight. Biggest news of the week is Impact Wrestling. Guys – THEY GOT PURCHASED! New goal: Less sighing when Mad Mike talks Impact Wrestling on our Mid Week War. Jeff Jarrett has been signed to Impact Wrestling. How soon until he’s at the top? Is bringing Jeff Jarrett back to Impact Wrestling going to turn it into Global Force? We’re talking some Wrestle Kingdom. The Rev is calling it now! Next time he’s on the show will include a live, in-character spot at Slice! Sorg and Chachi caught the PWX show with The Rev this past weekend! Fan of the Show Rick and his son made a feature for WWE Slam Crate video with Enzo and Cass. Talking some 205 Live with Aaron. 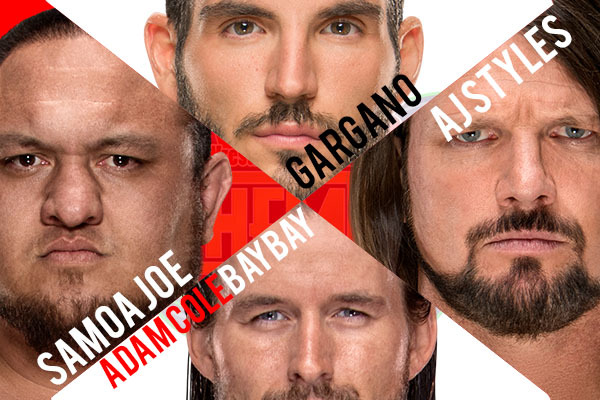 Request for WWE from Aaron: Please give 205 Live some of the RAW time slot. Fans will thank you. We’re talking the Alicia Fox love triangle angle on 205 Live. What happened with The Undertaker this week? Hey Matt! Where’s our Mayhem Mania? We’re talking about some dream match options with The Undertaker. Undertaker storyline with a Lake of Regeneration take? WWE stacking the Royal Rumble card is ruining the joy of the surprise entrants for Dudders. Aaron is holding out for Kurt Angle to return EVERY TIME WWE is in Pittsburgh. 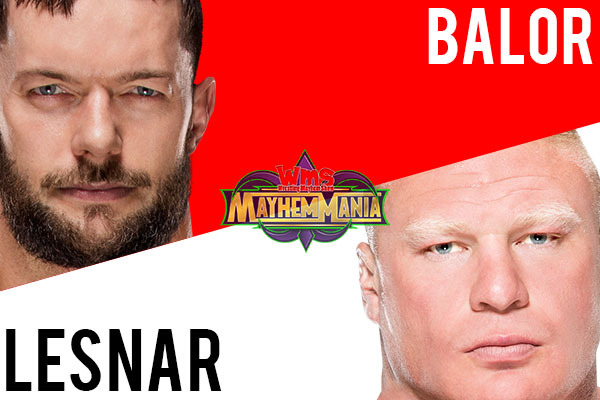 We’re calling (hoping for) a Finn Balor return for Royal Rumble. We’re sharing some content from Treygar on our site. And Rizz has a new Around The Indies coming up. It’s time for the Big Question! 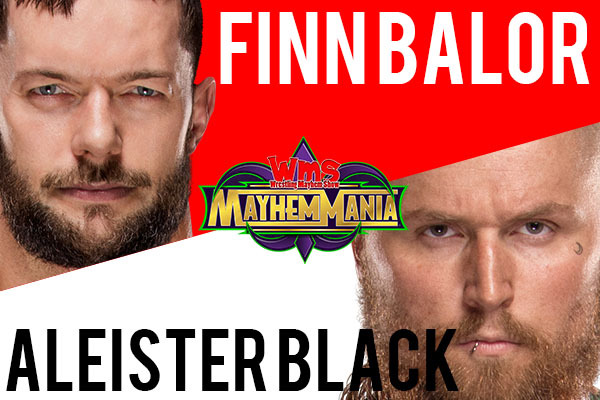 What is your dream match for Wrestlemania that will top the Wrestle Kingdom main event? The Rev has brought Michael Q. Knoxville into relevance with this week’s Big Question! We’re going international (via WWE Network) for the UK Tournament! RIP Ring of Honor announce team. Our UK friends – please help us with our pronunciations. Wendy’s intern needs to get paid. Between the trolling brought up on Awesomecast and the Matt Hardy response? GOLD! 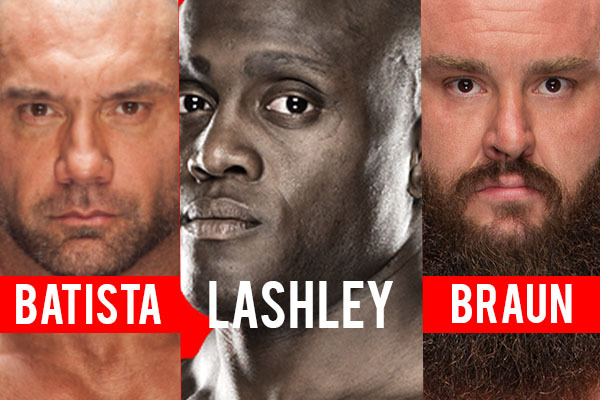 Homework for next week: When will WWE stop picking on Titus? Follow our stable on Twitter: Rizz (@rizzplaysgames) Bobby F J-Town (@BobbyFJtown), “The Rev” Ronnell Hunt (@RonnellHunt7), Mutilator Larry (@MutilatorLarry), and Mike Sorg (@Sorgatron). 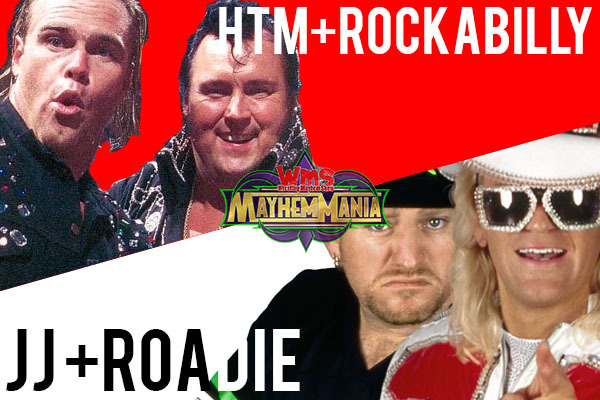 Mad Mike and Eamon Paton continue marching forwards into the past and watch how the alliance of Jeff Jarrett, K-Krush, and Brian Christopher progresses after taking out Scott Hall. We analyze the crowd of NWA-TNA when Jasmin St. Clair (yes, that one) came out during the show. Also the X-Division gets to shine this week with AJ Styles watching who will be his next challenge, is it Christopher Daniels, Jerry Lynn, Low Ki, Kid Romeo, or Elix Skipper? Mad Mike, Tonio Garza, and Eamon Paton are back in the Asylum for episode 3 of NWA-TNA. Tonight is all about the NWA Tag Team championships, will The Rainbow Express take it? How about James Storm and Chris Harris? And what is going on with Brian Christopher and Jeff Jarrett? We have so many questions! Mad Mike and Eamon Paton have gone back to The Asylum years for NWA-TNA to conduct more forensic research, and oh man do we see some familiar faces. AJ Styles is in the main event scene, and it looks like James Storm has found the first person he’s going to screw over Wildcat Chris Harris. But don’t worry, there’s still plenty of awful Jeff Jarrett to go around.